Ms. Johnson has more than twenty years experience as a professional performing artist and music educator. She’s had the distinct pleasure of performing at the White House for President and Mrs. Obama in the ceremony honoring Stevie Wonder with the Library of Congress Gershwin Prize; the joy of performing with Stevie Wonder at the Greek Theater in Los Angeles; and the excitement of performing with Luciano Pavarotti, Renee Fleming, Roberto Alagna, Barbara Bonney, and other operatic stars in productions at the Metropolitan Opera, New York City Opera, and several opera companies and symphonies across the United States, Germany, and Italy. She’s educated audiences about American music history through her one-woman shows entitled the Black Roots of Song, and ABC’S: American Black Composers’ Contributions to Our Musical Heritage ©; created, directed, produced, and performed in a concert event of spirituals called He’s Got the Whole World in His Hand; and enjoyed visiting universities and colleges as a visiting guest artist giving recitals and master classes in Performance Excellence. 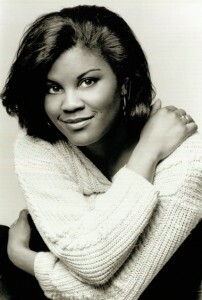 Ms. Johnson has a Bachelor of Music in Voice Performance from the University of Southern California, a Master of Music in Voice Performance as well as K-12 Music Certification from the University of Michigan in Ann Arbor; and is a graduate of the Metropolitan Opera Lindemann Young Artist Development Program. Currently she sings the title role on New World Records 2011 historic recording of Treemonisha with the Paragon Ragtime Orchestra.